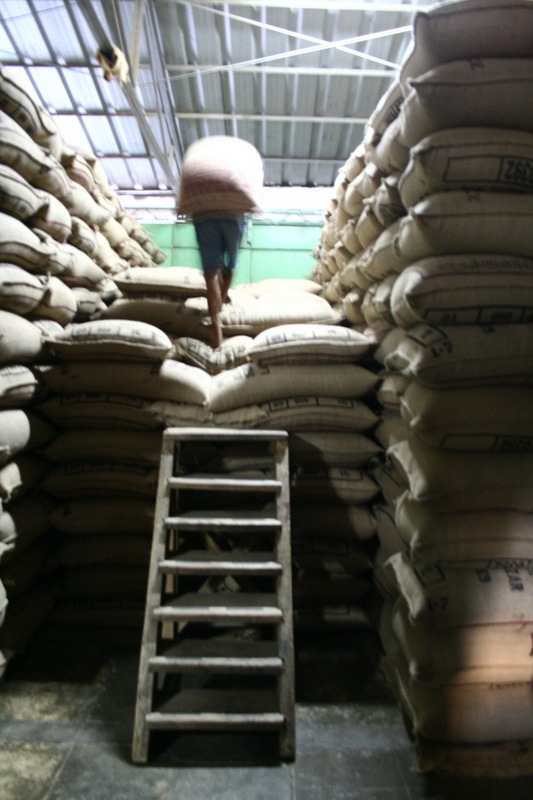 The Central American buying season comes around at a great time of year! 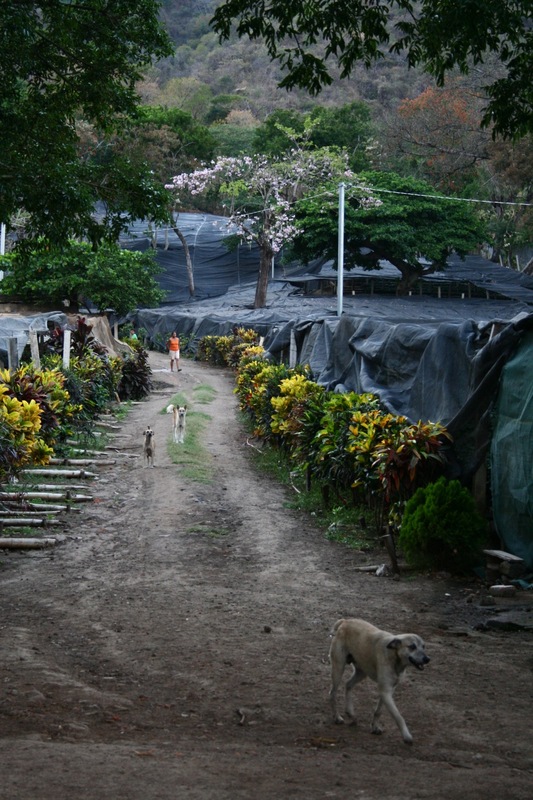 Happy to leave cold, dreary London, my first stop was El Salvador. One of my favourite countries not just for the tasty coffee, but also for the great network of friends and suppliers we’ve built up over the years. Arriving into San Salvador, the week couldn’t start without coffee and dinner with the guys at Viva Espresso; Federico, Lily and Alejandro of WBC fame! But the coffee itself you have to go out of town for. 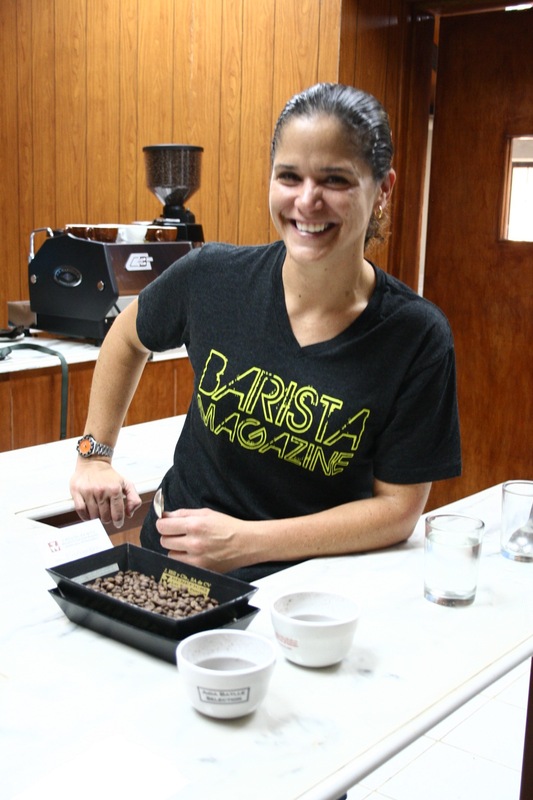 Santa Ana is the home of J. Hill, the mill that for the last few years have processed Aida Batlle’s coffees for her, and supplied us with many other lots such as the Majahual, a regular component in our espresso. 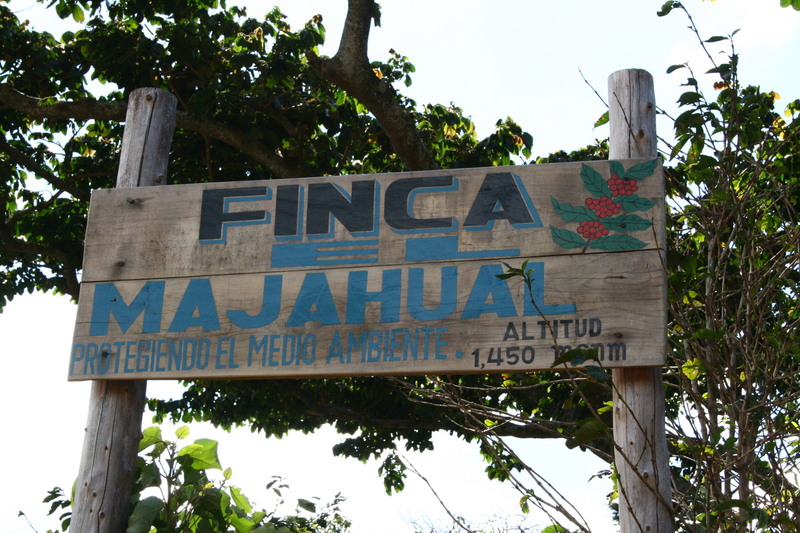 After a quick cupping to check that the quality of Majahual this year was up to standards, we drove to the farm to have a look at the conditions. 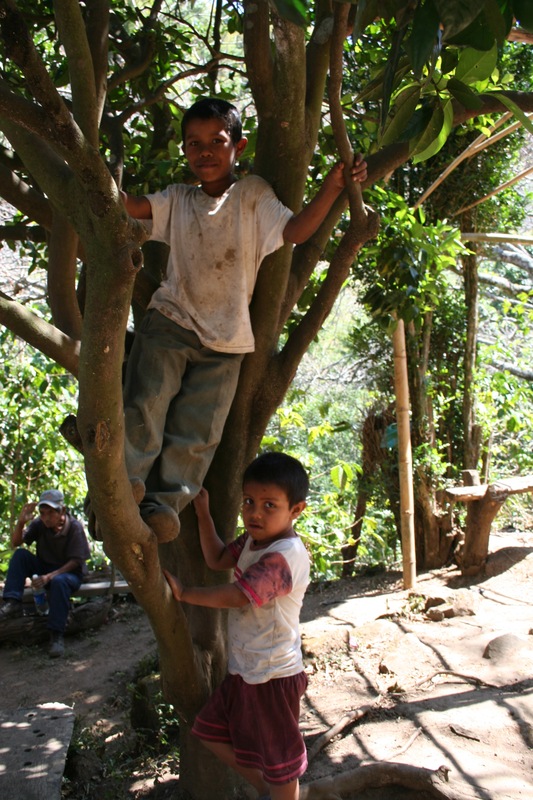 El Majahual is the overall name for what used to be just one farm, but is now on the 3rd generation of the Murray Meza family and as such has been divided between kids and cousins. Roberto and his siblings own and run Majahual, Sierra Nevada belongs to Edward and Liliana, and Arturo Meza Hill owns La Florida. 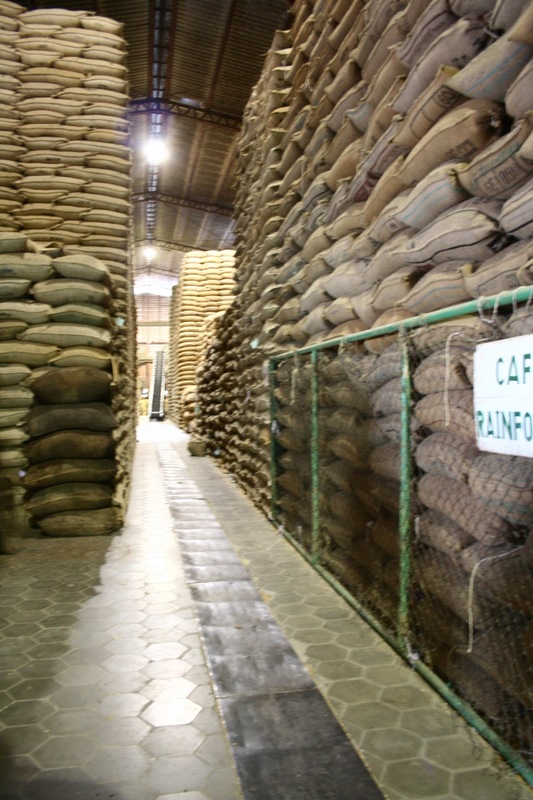 In a full season they might have 250 people come in to pick the coffee, so they offer facilities for the local community, staff and their families, such as a school, a kitchen and a health station with a full time nurse and a doctor twice per week. The pickers are paid by 25lb arroba (basket) and normally fill 5-6 arrobas per day from around 40 trees depending on yield and ripeness. 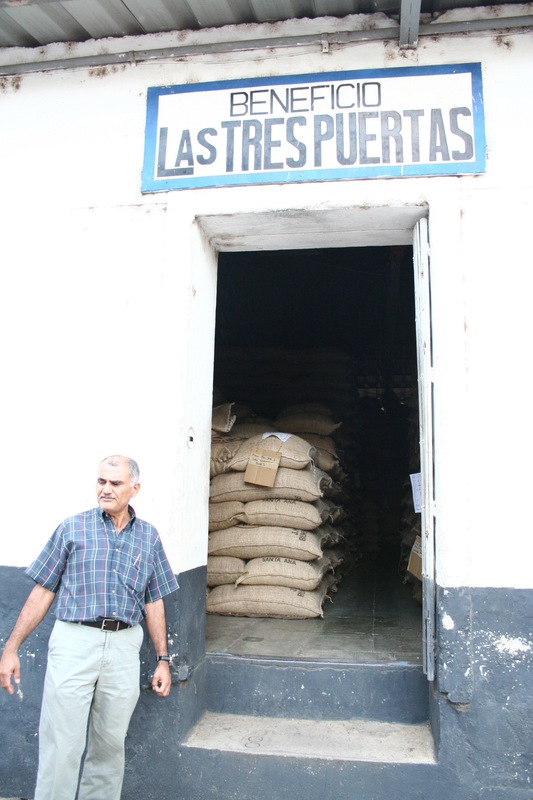 The minimum wage is $1 per arroba, but Majahual pays $1.50 and expects the picking to be of ripe cherries only. 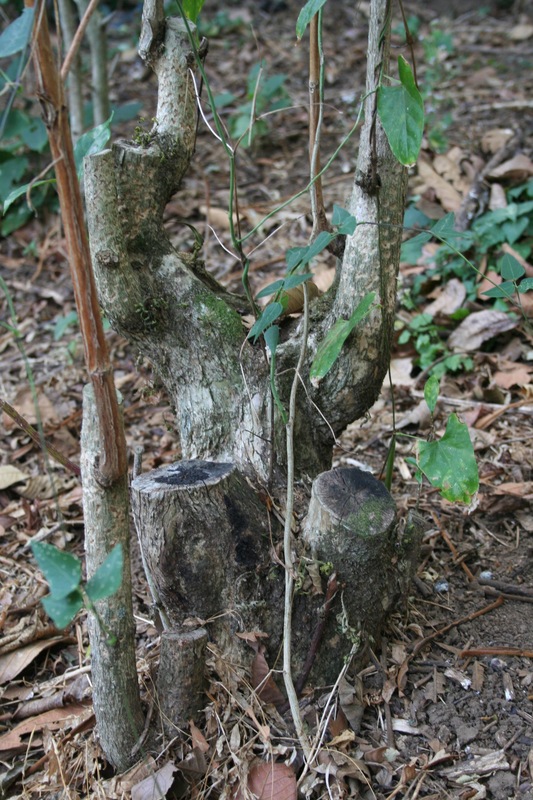 Majahual thankfully aren’t among the worst sufferers from this year’s roja (rust) problems, but they will still have to stump between 15 and 20% of the trees. They’re estimating that next year’s harvest will be down by about 50%, and that it will take 2-3 years for the crop to recover. That is if there aren’t any other diseases or climactic challenges in that time. 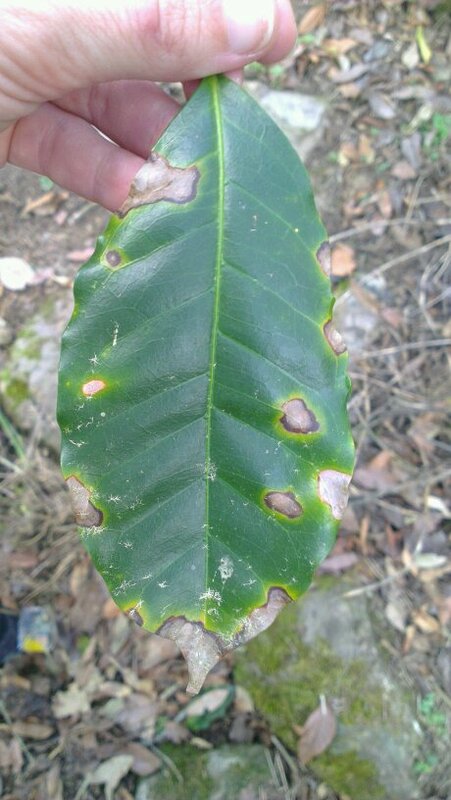 The rust hit all of Central America hard this season, some farms have been wiped out completely and will have no harvest for the next few years. It’s heartbreaking to drive trough the farms and only see dry, naked branches, some places only the shade trees and wind breaker hedges are left. The rust is like aids for the trees, it doesn’t necessarily kill it directly, but it breaks down the tree’s immune defenses and leaves it very vulnerable to many other diseases, like antragnosis. 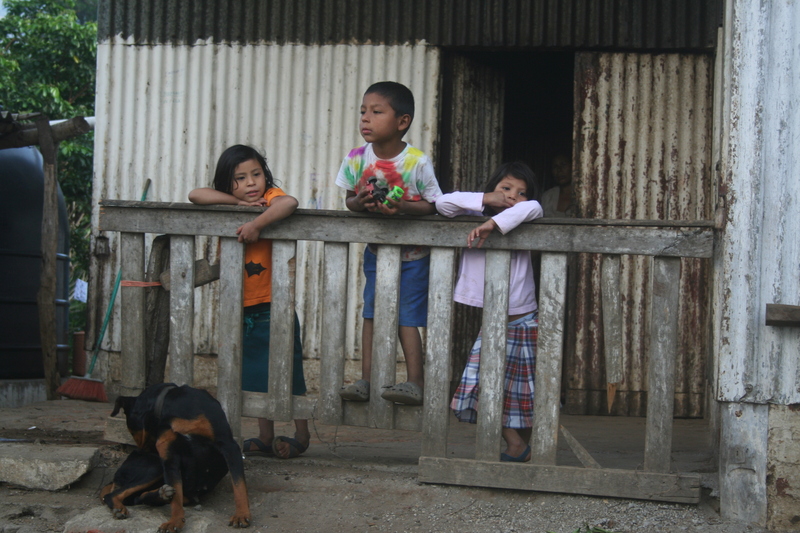 The strain of Roja they saw this year has been very aggressive and resistant to the sprays people have used in the past, and has attacked farms at higher altitudes than normal, another consequence of climate change. If you don’t catch it early enough and don’t spray every 20-25 days, the rust will make the trees drop all its leaves to protect itself, effectively killing itself in the process. 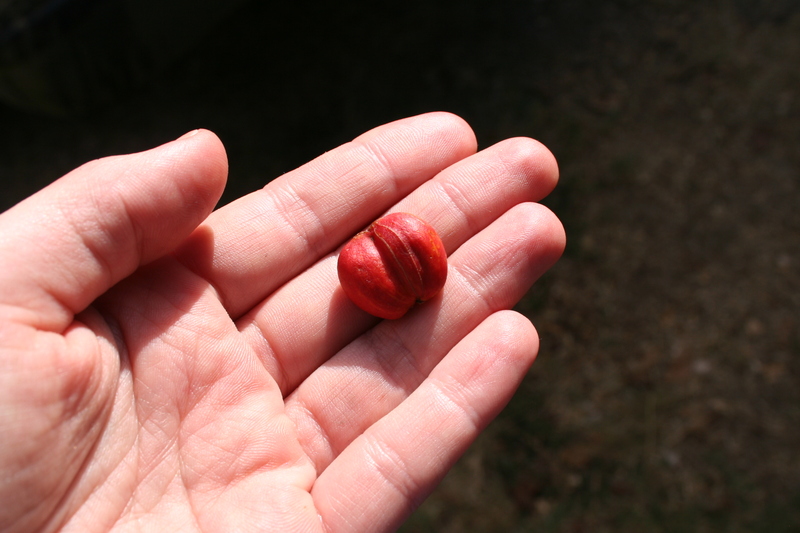 Antragnosis, drying the cherries up before they have the chance to ripen. Back at J. Hill I had the chance to walk around their nursery, where they’re doing some experiments on rust resistant coffees like Obata ,Catucai, Oro Verde and Sabia Tardio. 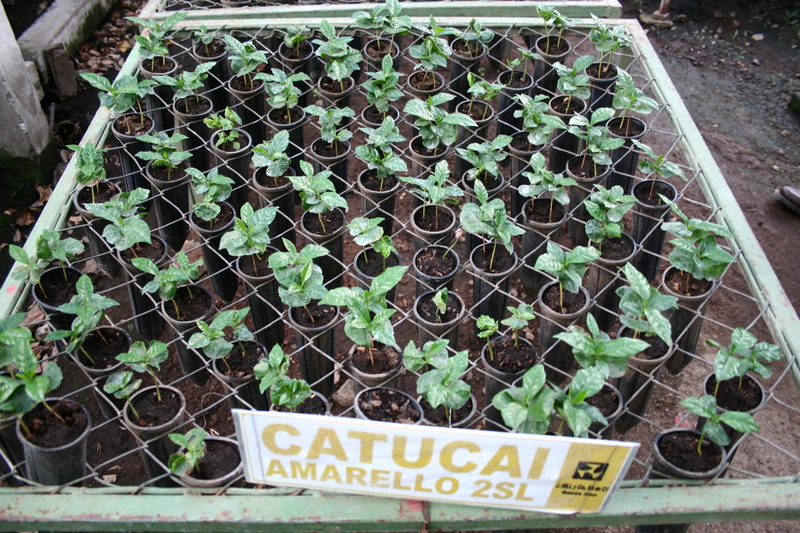 They’re also doing some grafting of Arabica on to Robusta roots. 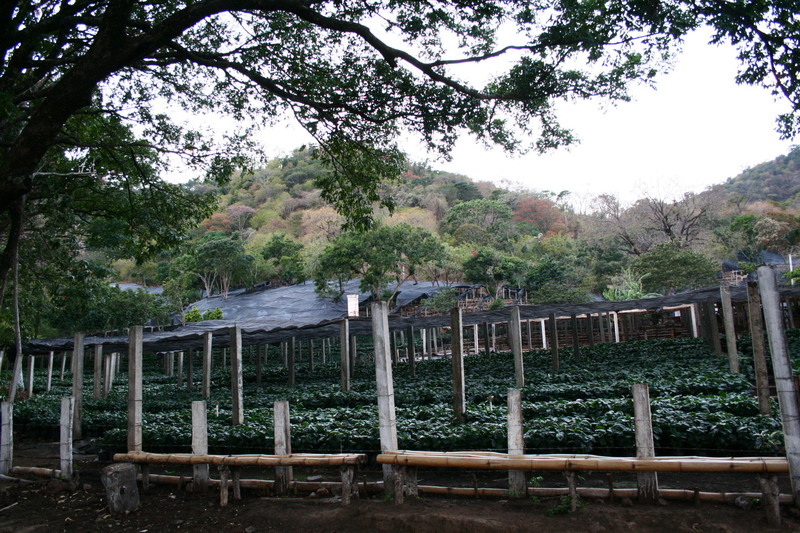 They nursery holds about 500.000 plants, and the young trees sell for 50 cents a piece. Farmers are encouraged to replant 5% of their trees per year, to keep up the yield and health. All the water used at the wetmill is filtered and pumped up to three enormous sediment tanks where the separated solids are collected for use in the nursery, wormery and the compost. Even when the wetmill is not processing, the 5 meter deep pools stay filled between seasons to keep the bacteria alive, and the smell of rotting is quite intense. The first tank is full of brown, gunky water and covered in a lid of brown slime. In the second tank the water is more a light beige colour, with patches of mud coloured foam floating on top. By the third tank, the water is green, with no foam or clumpy brown slime floating. 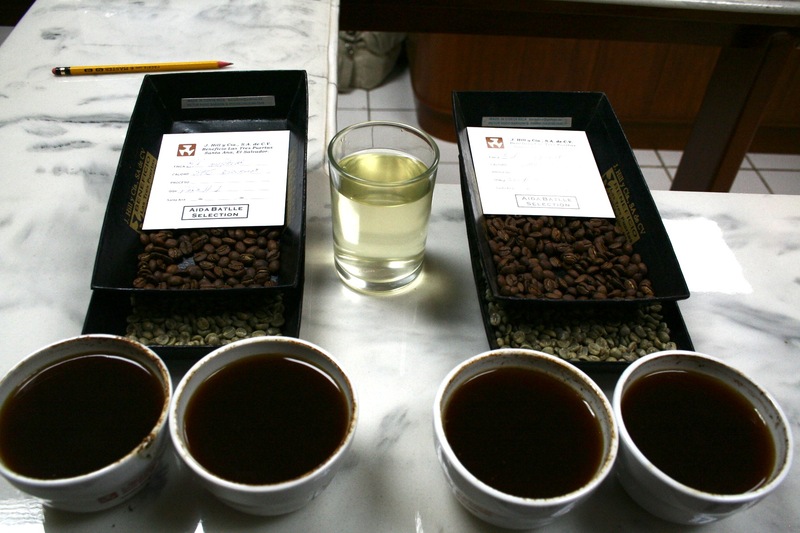 Much more pleasant then to return to the cupping lab and dip into some samples of Kilimanjaro, Tanzania and and Los Alpes, three of Aida’s farms and one of our most anticipated coffees in the year. 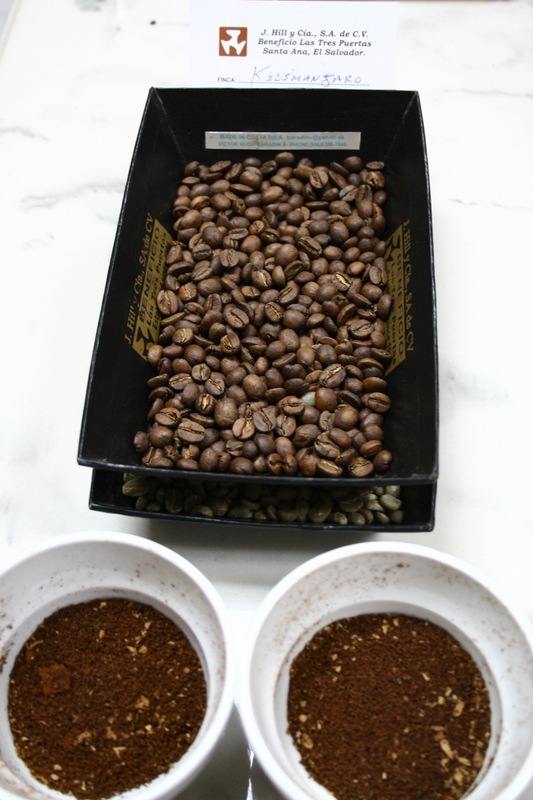 As usual we’re buying Kilimanjaro, and even from just the smell of the grounds, it’s going to be a great year! Majahual preship samples. Also approved! 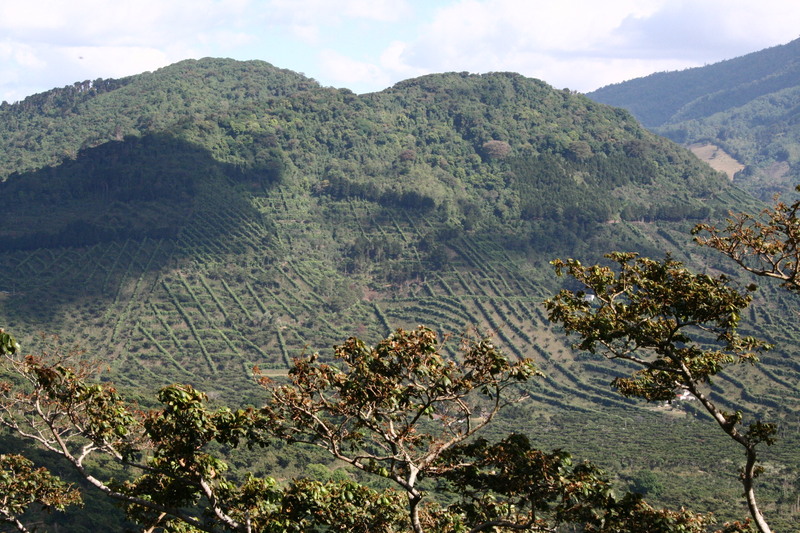 Wanting to have a look at Aida’s trees and how they coped with the roja, we set off to Fina Tanzania, her newest farm. Purchased only two years ago, most of the investment so far has been in improving the roads leading to it. (You know you’re in for a bumpy ride when Aida unbuckles her seat belt and puts her driving gloves on.) 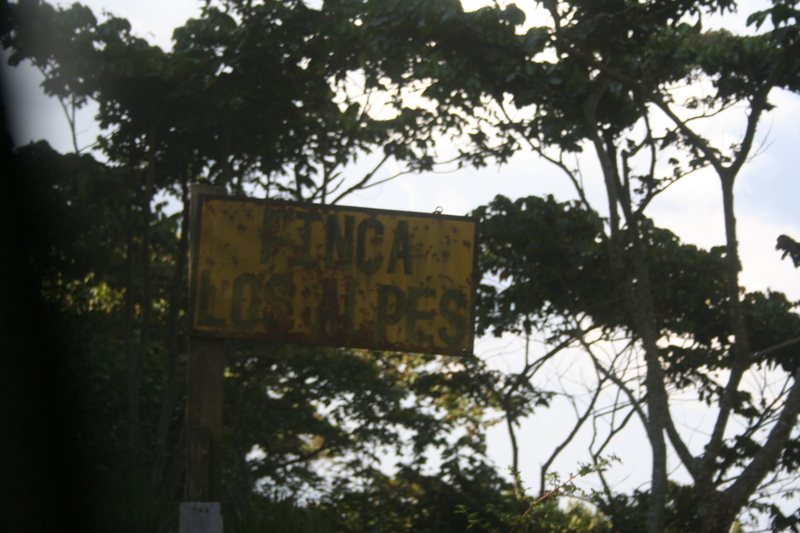 Most if the income from this farm still comes from the Pepito and Jocote fruit shade trees. Salvador, the farm manager, oversees the 19.62 manzanas and is currently focusing on digging cajuelas, holes in the ground between trees and rows that will allow more organic matter to gather and add nutrients to the trees. Also in process is the re-terracing of the steep hills, planting yucca for erosion control and renovation of the nursery. 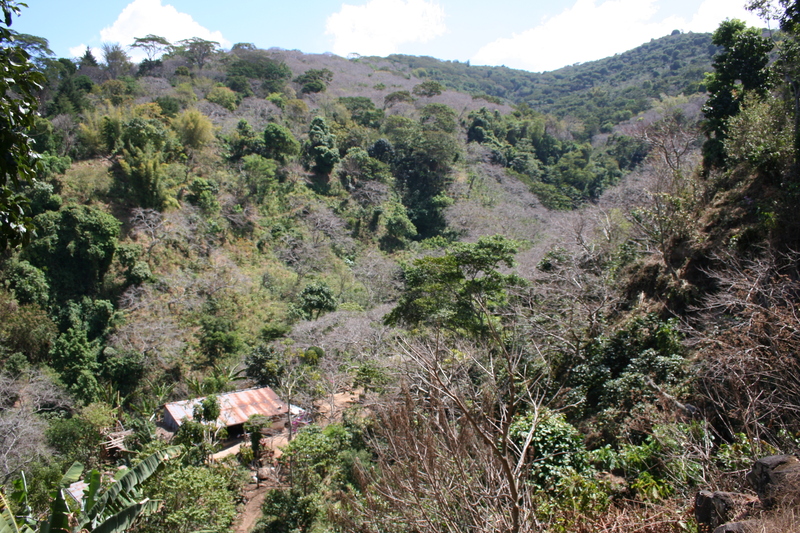 The farm got hit fairly hard by the roja, and 50% of the trees will have to be stumped. All the trees here are bourbon and will be replanted with both the orange and red varieties. Next on the tour was Kilimanjaro, where we got a chance to see the pickers come in with their bags for hand sorting. What was being poured out onto the plastic sheets looked beautiful, deep red and burgundy cherry just bursting with sweetness. 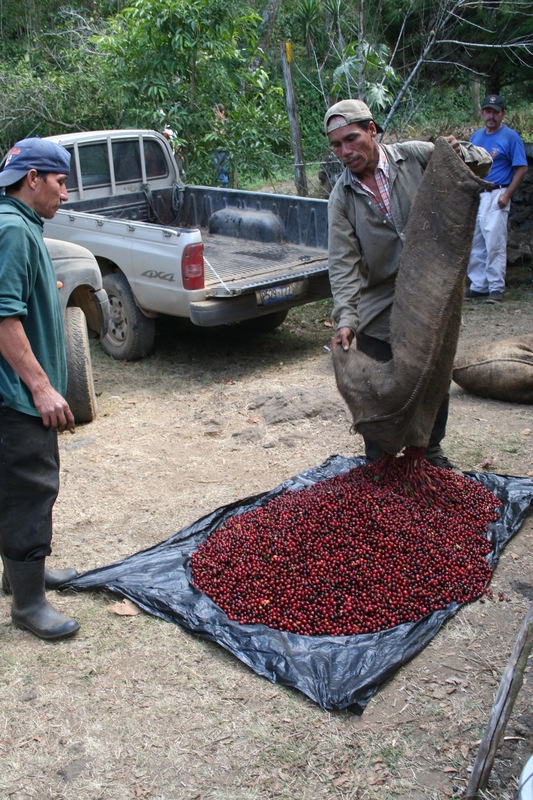 But under Aida’s eagle eyes, bags were sorted and sorted again till only the truly best cherries are put back on the truck headed for the mill. 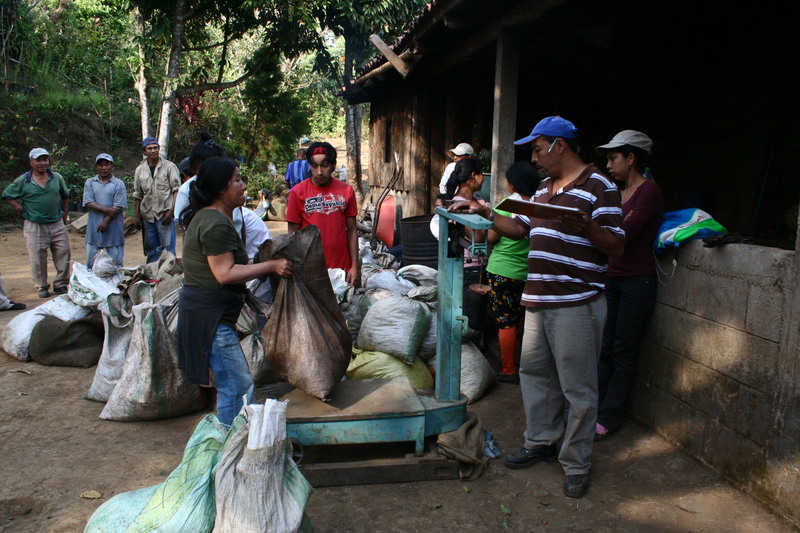 It’s a lot of extra work, but Aida also pays $3 per arroba, and her crew knows that the better they pick the less time they have to spend sorting afterwards. This farm will get away with ‘only’ stumping 20-25%, perhaps in part due to the fact that it’s the highest farm on the north side of the volcano and enjoys a slightly cooler climate. Third up was Los Alpes, which in fact was looking healthier than ever. The farm has come on leaps and bounds in the last three years, and manager Lorenzo has a lot to do with that. 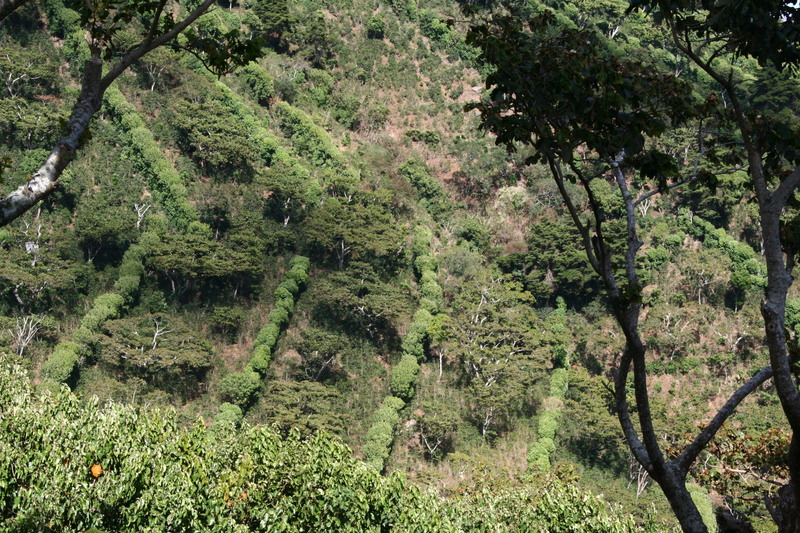 The trees are tall, and the ripening even, so the roasters picking up Los Alpes this year are a lucky few! 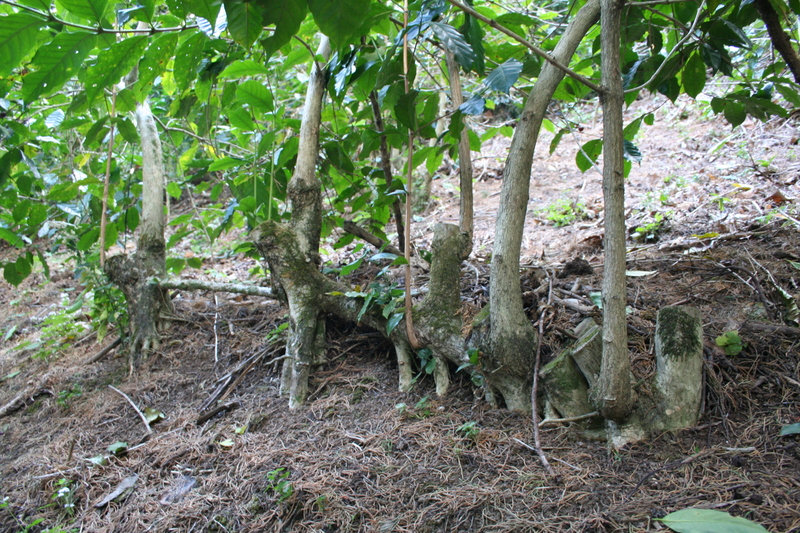 Last but not least was Finca Mauritania, where sadly about 50% of the trees will probably need to be stumped. The 400 Jocote trees providing shade will help keep income flowing a bit, but it goes without saying that times are going to be harder for growers over the next few years. Back at J. Hill we arrived just after the cherries from Kilimanjaro had been delivered, and as the dusk set in a smaller micromill was fired up to process the cherry before dark. 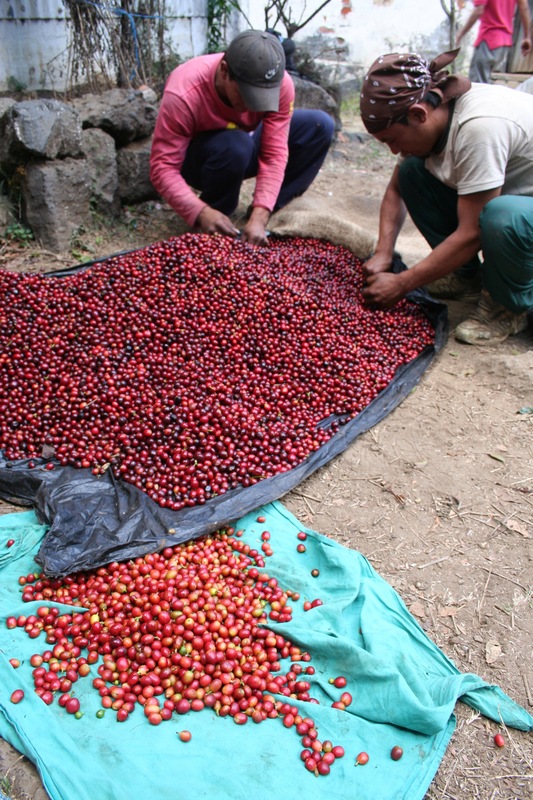 The cherries going through now were to become our Pulped Natural selection, so I was really happy to see the quality of the picking and the low portion of floaters being separated out at the various stages. I can’t wait for this coffee to arrive! Leaving Santa Ana after spending a few days there, the next place to visit was Apaneca and Gloria Rodriguez’ Finca Nejapa. When we pulled up in the yard we just caught the delivery of the last pass of picking. 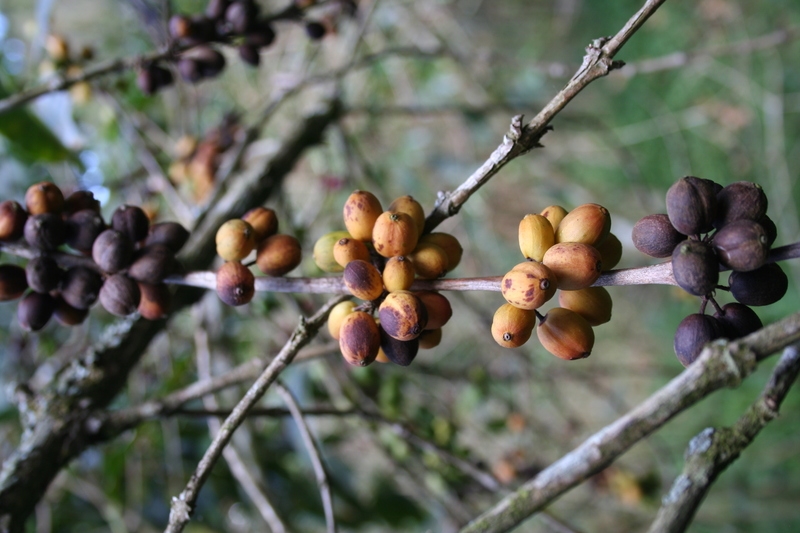 Most of the coffee here is bourbon and typica, but they’ve also recently come across some trees they can’t classify, so have started a few small projects cultivating the seeds from these trees to get a better idea of cup profile. 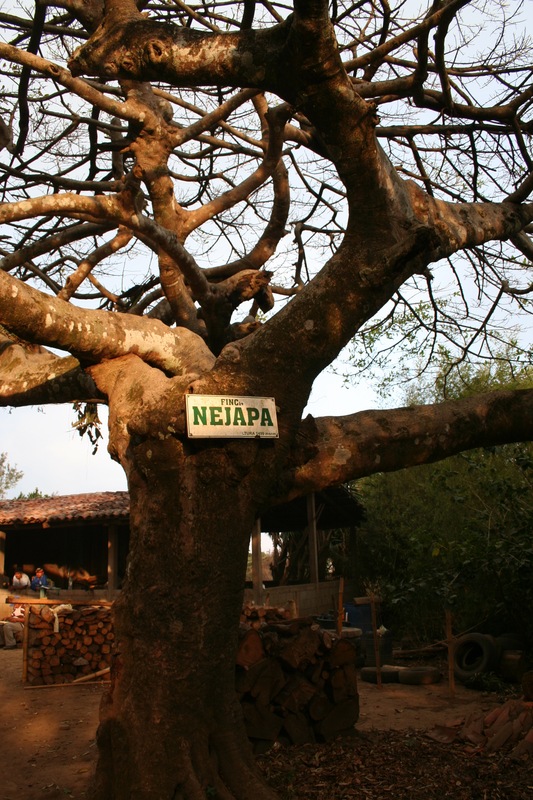 Nejapa is made up of three plots: Roma, Santa Maria and Los Vientos. A lot of new planting is about to take place, and Gloria has a unique way of getting the land cleared of excess trees and shrubs. She offers the land to local families, who against the work of clearing it, can have the land for a year to grow corn or other crops. She gave one of these new plots, Hamburgo, to her son Roberto, and a lot of the new unknown varietals will be planted here. Tired from trekking around in hilly coffee fields, it was good to get back to San Salvador and a couple of days of roasting and cupping. Before moving on to Guatemala I also had a chance to meet up with old friend Luis Rodriguez who runs Cafe Caracol in Santa Tecla with his lovely wife Maria Jose, and was treated to great tapas and delicious cocktails. El Salvador never disappoints and is still a favourite producing country to visit! I found more coffee I liked than what I can squeeze into one container this year, but that’s a luxury problem that I’m sure I can solve!